Luhmühlen Horse Trials is one of six four-star events in the world, the others being Badminton and Burghley in Britain, Kentucky in the USA, Pau in France and Adelaide in Australia. It is held annually in Salzhausen, Germany, in June. 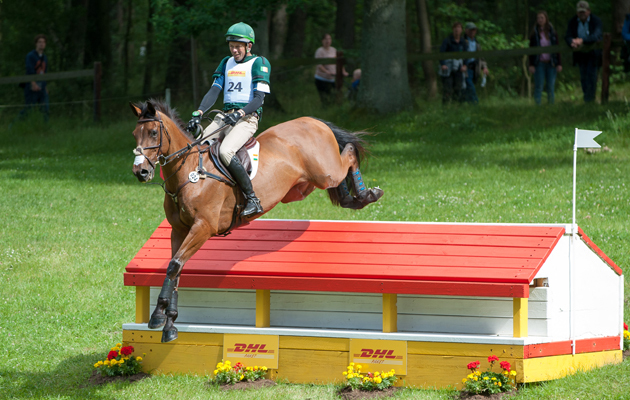 The venue has a long history of running horse trials and upgraded to four-star in 2005. A CIC3* runs alongside the feature class. Captain Mark Phillips was the cross-country course-designer here for the four-star until 2016. Mike Etherington-Smith took over for the 2017 event. Betting Hoy scored her first four-star win here at the inaugural four-star, riding Ringwood Cockatoo. The top spot has gone to the host nation seven times since, with Michael Jung becoming the first person to take the title twice when he added victory in 2012 on Leopin FST to his triumph in 2009 with La Biosthetique-Sam FBW. There have been three British winners in the four-star at Luhmühlen, Ruth Edge (Two Thyme) in 2007, William Fox-Pitt (Macchiato) in 2008 and Sharon Hunt (Tankers Town) in 2010. The winners’ laurels have twice gone to New Zealand riders, with Andrew Nicholson and Mr Cruise Control coming out on top in 2013 and Tim Price picking up his first four-star victory in 2014 on Wesko. The 2014 event was marred by tragedy as young German rider Benjamin Winter was killed in a fall while riding Ispo in the CCI4*. Afterwards, his friend Sandra Auffarth — who became world champion in 2014 on Opgun Louvo — took on the ride on Ispo. In 2011 Luhmühlen hosted the European Championships for the fifth time. Germany won the team gold and home side riders also took all three individual medals, led by gold medallist Michael Jung on La Biosthetique-Sam FBW. France took the team silver and Britain the team bronze, breaking an unbroken run of eight team golds at European Championships, which extended back to the 1995 Europeans in Pratoni del Vivaro, Italy. Could Team GB have its first winner at the German four-star since 2010?